Energy conservation is a hot topic these days. With the difference in high and low temperatures, in Louisville, not only during the year, but can also be experienced in a day, replacing your old home thermostat with a programmable thermostat is a way to help conserve energy and money, in the long run. 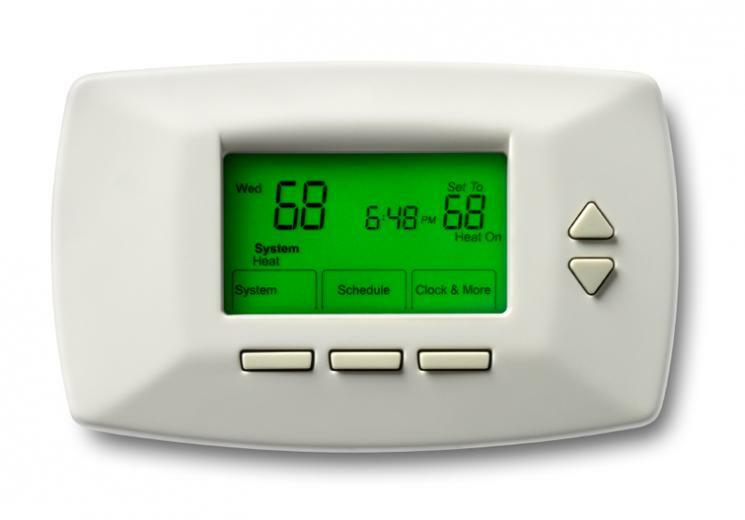 A programmable thermostat allows the user to automatically adjust the temperature in your home. During the summer months, a programmable thermostat will allow you to raise the temperature setting, while you are at work, so the air conditioning will not run while you are at work. You then have the temperature adjust to your ideal temperature prior to you returning home. This can be set opposite in the winter, where you allow the temperature to drop, so your furnace isn't running when nobody is home. Programmable thermostats start around $20.00 and can go up to several hundred dollars, depending on the additional features you are looking for. A basic thermostat will allow you to making one setting that works for the entire week. This, however, may be inconvenient because most people are not gone every day of the week, so they have added the ability to have one program during the week and another one for the weekend or what is called a 5 + 1 + 1 program which allows separate programs Monday through Friday, one for Saturday, and another one for Sunday. Programs can also allow you to set different time frames during the day. For example, you have the settings for when you are at work. Then you have the it adjust for the evening, when you get home for the evening. Thirdly, you can have a different setting for the time you are sleeping. And finally, a fourth setting for the morning when you are preparing to leave for the day. Just as it seems with everything, adjustable thermostats are now joining the wireless world, which can connect to your home's data network. The thermostats do have a setting where you can override the programmed setting, so if the environment isn't comfortable, you can make temporary adjustments. If you leave the house and forget to go back to the program, you will have a way to log into the thermostat and make the necessary adjustments. Not only can you help save the environment, a properly installed and programmed thermostat can help save money on your utility bill. Preventing your air conditioner cooling an empty house, in the summer, or heating your unoccupied house in the winter, you limit the use of your air conditioner and furnace when their use is not required, saving you money.